The BCCI's selection committee chairman MSK Prasad on Friday backed wicketkeeper-batsman Rishabh Pant's call-up to the ODI squad for the five-match rubber against Australia, saying the team management wanted to try the southpaw in the remaining few international games before taking a final call on the squad for the ICC World Cup 2019 in England and Wales. Pant, who last played an ODI in October last year when India hosted the West Indies in a five-match series, was on Friday included at the cost of veteran Dinesh Karthik, who had a mixed tour of Australia and New Zealand in the limited over formats. Stressing that the team management will find the best possible batting spot for Pant, Prasad said: "We have included him (Pant) considering the fact that he is a left-hander and we are going to discuss with the team management." "We will try and figure the best possible batting position for Pant. With a left-hander in the side, there is an advantage of left-right combination. 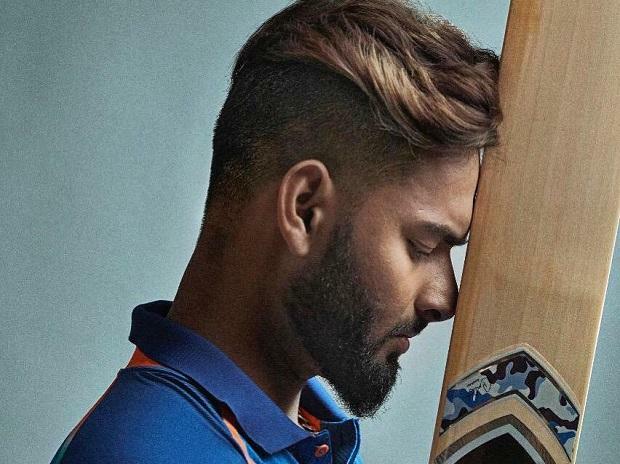 We want to give Pant a few ODIs before taking a final call on World Cup," he added. Prasad also hailed Vijay Shankar's all-round abilities, and said his decent outings in New Zealand was taken into consideration before including him in the squad against the Kangaroos. "Shankar's performance in the recent series really changed a bit of dynamics and he brings a double impact to the side that's why we have included him. We'll see how he performs in the next few matches," he said. Paceman Siddarth Kaul was another notable inclusion in the side in place of left-armer Khaleel Ahmed. Kaul was included for the two-match T20I series and the first two ODIs. "Siddarth Kaul has been doing very well in whatever opportunities he has been given and also at India A level," he said. "Khaleel has been playing for the last two series and we have seen him. We would like to see Siddarth Kaul also. We have shortlisted about 18 players and we are going to rotate among them," he added. Commenting on the surprise selection of uncapped leg-spinner Mayank Markande in the T20I squad at the cost of the tried and tested chinaman Kuldeep Yadav, Prasad said: "We are looking at Markande as a backup spinner. We have been grooming him through India A process and today also he picked up a five-wicket haul. So, we want to look at him and he'll be a backup spinner." The 21-year-old Markande has been in impressive form in the past few months and on Friday his fifer helped India A tame the England Lions by an innings and 68 runs in the second unofficial Test. The BCCI also condoled the deaths in the Pulwama terror attack on Thursday, where 49 CRPF troopers were killed. "Our heartfelt condolences to the CRPF Jawans who lost their lives in the #PhulwamaTerrorAttack," acting BCCI Secretary Amitabh Choudhary said.